The building is named after James Watson, a Nobel laureate who has come under fire for racist comments. 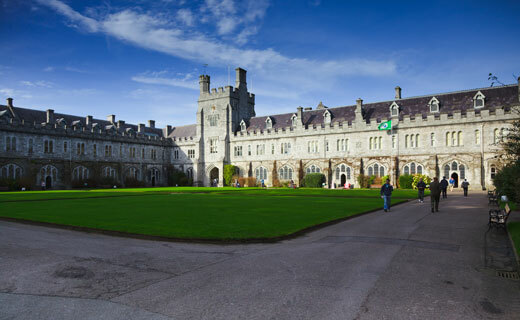 University College Cork (UCC) students have launched a petition calling for a change to the name of the Watson Building, following racist comments made by the Nobel Prize winner. Recent controversy involving Dr James Watson’s comments on race could see his name, which is currently adorning Brookfield Health Science Complex in UCC, being removed. Watson, a 90-year-old Nobel prize-winning scientist who was involved in the discovery of the structure of DNA, has been stripped of his honorary titles with Cold Spring Harbor Laboratory (CSHL) in New York, which he led for many years. Watson’s comments have been condemned by UCC students and staff alike and have prompted the UCC Students’ Union to launch the petition, led primarily by the SU Equality committee. “It further states that a person recognised by an honorific naming, ‘must have exhibited values consistent with those of the University’”, she said. Prof John McInerney of the Department of Physics at UCC told the Irish Examiner that the remarks were “reprehensible and bigoted”, and described how it has long been known that Watson is an “arrogant, bigoted” person. In a statement to the Irish Examiner, a UCC spokesperson confirmed that the issue will be examined in greater detail. The Brookfield Health Science Complex was named in Watson’s honour in 2016, despite criticism following racist remarks he made in an interview with the Sunday Times in 2007.